Over the last few years, there has been an intense revival of scholarly interest in Roman Comedy, with recent publications of companions and handbooks (e.g. The Oxford Handbook of Greek and Roman Comedy, 2014; The Cambridge Companion to Roman Comedy, forthcoming), volumes dedicated to Roman drama (e.g. Women in Roman Republican Drama, 2015; Roman Drama and its Contexts, forthcoming) as well as collective volumes on Terence (e.g. the first Companion to Terence). In the last decade, scholarship on Roman comedy significantly moved its focus from performance criticism to the study of these comic plays as products of a sophisticated treatment of literary tradition, addressing (even) an erudite audience (e.g. Reading Roman Comedy, 2009; Funny Words in Plautine Comedy, 2010). In this context, after an outburst in Plautine studies, mainly in the 90’s, and the analysis of Plautus’ comedy mostly with emphasis on its performative aspects and theatrical self-references, a re-examination of the first extant works of Latin literature seems to be on hand (e.g. Plautine Trends, 2014; A Companion to Plautus, forthcoming). Yet, while there have been older several studies on the way Plautus alludes to political, social and scientific matters, a study exclusively dedicated upon the playwright’s references to contemporary intellectual issues and debates, in connection with his debt to Hellenistic poetics, has not yet emerged. This workshop aims to re-examine Plautus’ work as the first extant witness of Rome’s early republican milieu and explore various cases through which Plautine comedy offers an invaluable understanding of contemporary intellectual and cultural issues and debates. 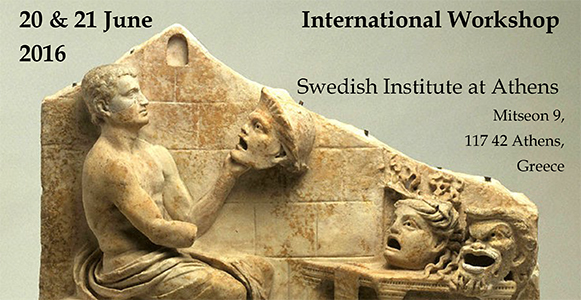 Papers by specialists in the field (30 minutes long, followed by 20-minute discussion) will address various themes, such as: literary influences upon Plautine comedy; concepts on Roman identity; Greekness and Roman audience’s reactions; Plautus’ dialogue with literary genres; religious, social and popular beliefs reflected in Plautine comedy. Ariana Traill (Illinois at Urbana-Champaign), Chrysanthi Demetriou (Cyprus), Emilia Barbiero (New York) , Evangelos Karakasis (Ioannina), Gesine Manuwald (UCL), Ioannis Konstantakos (Athens), Katerina Philippides (Patras), Ruth Caston (Michigan), Seth Jeppesen (Brigham Young), Sophia Papaioannou (Athens). If you are interested in attending the meeting or you have any questions, please contact the organisers, Chrysanthi Demetriou (demetriou.chrysanthi[at]ucy.ac.cy) and / or Sophia Papaioannou (spapaioan[at]phil.uoa.gr). Attendance is free but it will be useful to have an idea of numbers.